“Sully” is a story of personal and team resilience. Sully made a difference for his passengers, crew, company and their friends. The real Sully Sullenberger and Jeff Skiles are larger in life than their characters in the movie. Their values, words and actions provide life lessons for us all. Islands of human resilience like the crews of Flight 1549 remain our only refuge in every industry that is inexorably forced forward to surf the edge of chaos in seas of disruptive complexities and failures. Good leaders have the following attributes: clear values, acceptance of responsibility, courage, smart risk taking and initiative. Great leaders also have personal humility and an intense personal will. Exceptional leaders have a fearless spine with the ability to communicate to our emotional cores. They don’t tell us what or how to do things, they tell us why. They craft passionate messages mixed with empathy and care that resonate in us. They call us to action, not to maintain or transform the status quo but to disrupt it. John Howard, Australia’s former Prime Minister said, “The most important attributes in leaders are their values”. Simon Sinek continues this discussion with the WHY, “People don’t buy what you do, they buy why you do it. What you do is just proof of what you believe. So when you tell people what you believe and you’ll attract those who believe what you believe”. JFK, Nelson Mandela, Gandhi, Dr Martin Luther King were all exceptional leaders. People would give their life for these leaders. Steve Jobs, Jeff Bezos and Elon Musk took leadership to the extreme. In their search to be better, they disrupted themselves. Sully is an exceptional leader. 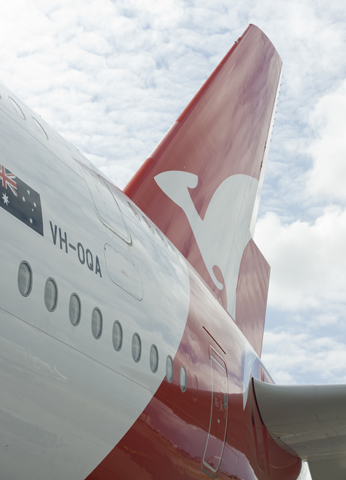 His WHY was simple and clear – to ensure the surviving passenger count equalled 155 – everyone onboard. Life was more important than everything else. When Sully identified his WHYs the HOWs became obvious. When you know how to think, act and communicate, the WHATs flow naturally. It’s easy to be critical of movies today. Script writers and directors add fear, doubt and uncertainty to entertain the viewers with an emotional roller coaster ride. Actors said and did things in “Apollo 13” and “Sully” that did not happen. Substance lies beyond the criticism, so you need to be tolerant of the Hollywood factor and enjoy the bigger picture. The scenes where Sully imagined his plane crashing into the buildings were not illusionary fantasies. I wrote in my book how I also became self-doubting after QF32, consumed by thoughts and dreams of “what-ifs” that ended in disaster. The perspectives of Sully and his First Officer, Jeff Skiles, being on trial for everything they had accomplished in their careers and did on Flight 1549 were accurate. However, the reality in the cockpit was far more dramatic than the movie. Although the actions of the crew were channelled and controlled, they were surrounded by a sea of chaos. Their peaceful cockpit erupted with piercing sounds of warnings, bells, and alerts. Calm was replaced with Gatling gun fire of commands, decisions, announcements and procedures. This was Sully’s and Jeff’s reality, however it was too complex to fully capture on the screen. Be under no illusion of the risks that faced Flight 1549. They were outside the protections of certification that define aircraft safety – no pilots are trained for these events. Sully said “I had to synthesise in seconds my lifetime of knowledge and experience to solve problems that I’d never seen before. And I never knew upon which 208 seconds of flight my entire career might be judged”. One of the investigators observed, “That guy has been training for this his entire life”. Tom Hanks did not capture the depth of Sully’s bravery, leadership and resilience. Many, if not most, pilots would have felt they were done with their responsibilities the moment the passengers were rescued. But Sully never relinquished command of USAirways 1549, not at the ferry terminal, not in the subsequent days of media frenzy, nor throughout the lengthy investigation. Sully is still the Captain of Flight 1549 even today. there are no such things as heroes, only heroic (team) actions. “Sully” shows us a better way to investigate safety. Safety officials generally only research events where things go wrong. The answers uncover ignorance, inadequate training or lack of experience. Rarely do the positive influences emerge. 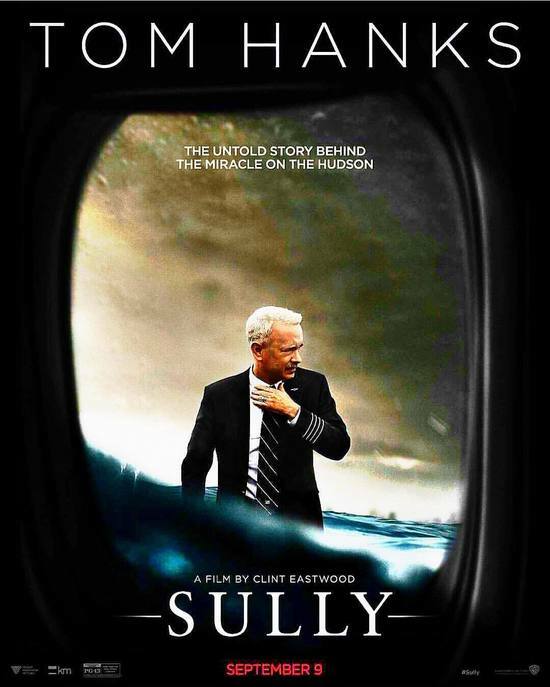 “Sully” captured the successes of Flight 1549. When we look into Sully’s career, we discover the ingredients for personal resilience. These skills did not just protect the passengers of Flight 1549; they saved the lives of every passenger who flew with Sully over his 42-year career. We should bottle the essence of Sully’s values and behaviours, and use it as an elixir for resilience and success. It takes skill to keep calm when others are panicking. It’s a skill to make split-second decisions to protect hundreds of lives and equipment worth hundreds of millions of dollars. When disaster strikes you must maintain your free mental space, and keep a clear mental mode and situational awareness so that you make correct decisions and survive. The passengers on board US Airways Flight 1549 were most likely startled. They probably remember their breath shortening, heart and breathing rate increasing, muscles tensing, becoming deaf as their senses narrowed. At the peak of their stress their options might have narrowed to flee, fight or freeze. Only those who have experienced this emotional state fully appreciate the skills of the resilient who stay calm and act decisively to protect us. Lorrie Sullenberger and the passengers were short changed. Nothing can prepare your family for the avalanche of media that invade your property and blind you with their flashes when social media and the networks television crews strike. Coral and I could not return home until the media dispersed four days after QF32. Nothing will prepare you for your need to find information and privacy. Nothing can prepare a spouse to welcome home a loved one shut down by PTS. The emotional trauma Sully felt also extended to his crew, passengers and their families. It’s a pity those stories were not told. Sully would probably agree with me that there are no such things as heroes, only heroic (team) actions. Any one of us could be put into a situation where our actions might save hundreds of lives. Great things happen when preparation meets opportunity. Coral and I sat silent and exhausted after watching “Sully”. We were in the first row of the cinema, the screen filled our view. I was in Sully’s cockpit. Coral was with Lorrie at home. Every thought, word and action had resonated in us loud and clear. We were proud of the air traffic controllers, passengers, rescuers and people of New York. We stayed to watch the credits at the end. This was a gem as we experienced the side of leadership that is seldom discussed; full disclosure, empathy and care. Sully and Lorrie Sullenberger met the passengers US Airways Flight 1549 many times after the flight. The pair answered their questions, allayed fears and helped people recover from PTSD. I could see in the eyes of the passengers and crew that these were cathartic events and everyone appreciated the full disclosure. Personally, the “Sully” movie reinforces the values of exceptional leaders. 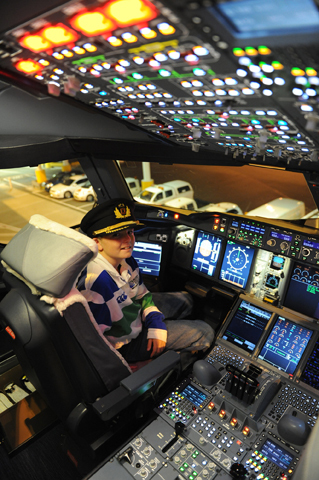 Sully has a passion for aviation, safety and leadership. He espouses a lifetime of continuous learning and was driven by core values to put others’ safety before his own. These are the first ingredients for success. Technically, the “Sully” movie reminds us that well trained and experienced flight crews are your best defence during black swan aircraft events. High technology and security is an oxymoron. Technology and security are enemies of each other. Whilst technology is the enabler, security is the technology brake that is always trying to stop things from happening. That’s why technology can’t synergise with security the way it does in other spheres. That’s why over-reliance on technology often leads to bad security and increased risks. The “Miracle on the Hudson” was a team success. Though Sully Sullenberger was the pilot in command, he was fortunate to be supported by co-pilot Jeffrey Skiles, himself a captain on a previous type. Jeff is one of the most respectable persons I have ever met. Jeff is genuinely modest of his skills, which is why Sully acknowledges him at every opportunity. Sully and Jeff were supported by flight attendants Donna Dent, Doreen Welsh, and Sheila Dail. Together they were exemplars for aviation safety. Clint Eastwood and Tom Hanks did a great job in “Sully”, a human testament to leadership, teamwork and resilience. However, the real Sully Sullenberger and Jeff Skiles are larger in life than their characters in the movie. The world needs heroes now, more than ever before. Heroes show there can be growth from adversity and we should always strive and be prepared to take risks to become better than we are. Heroes don’t just do great things, they do them altruistically, empathetically and instinctively. Men like Sully and Jeff wear their hero titles honourably and justly. Our faith in their values should never be diminished. Sully and Jeff are lifetime members of the world’s resilience club. We are fortunate to have them show us how to prepare for the unexpected, deliver our highest duty, and make a difference. Living in “the bush” my wife Heather and I only got a chance to see “Sully” at our club cinema last week. We both read his book and wanted to do that before seeing the movie. I thought your review was spot on. Although the portrayal of the NTSB may have been a bit over the top, they were looking for a scapegoat for the loss of a multi million dollar aircraft. As an “old” light aircraft pilot I appreciated a lot of the cockpit scenes and during the bird strike sequence I felt like I was being physically hit by them. A great film and I will be looking forward to adding it to my collection when it is released on Blue Ray DVD. Best wishes for Christmas to Coral and yourself and all the best for 2017. It’s always great to receive feedback from like minded people. “Sully” is a great story about resilience that needs to be highlighted – to acknowledge Sully’s leadership and his team’s knowledge, experience and teamwork that made it possible. Merry Christmas to you and your family. Have a great holiday. I’d like to thank you for the very insightful review of “Sully”. Your eloquent writing fairly captured the Sully that I know although you were far too kind regarding my own role in the incident. I believe that you brought a perspective that thankfully only a small cadre of our colleagues can convey. Reality was far more dramatic than portrayed in the film. As someone who was there, I thought the movie did an excellent job of capturing the incident and the thoughts and concerns of Sully who was hailed as a hero while simultaneously suffering under the burden of an intensive, invasive, and far reaching investigation into his life and conduct. Certainly part of the appeal of the movie is that it gives viewers an alternative glimpse into a story that they remember and in many cases thought they knew well. The producers hung the various pieces of the film from this overall framework. The producers weren’t airline pilots and had no expert consultant on set. Some of the movie was not absolutely factual but it overall was pretty good. I think we need to keep in mind that the movie was never intended to be a documentary but rather was meant to tell a broader story and it did that very well. I don’t want to be an apologist for the movie and where it took liberties with facts, but I do understand why sometimes absolute accuracy was sacrificed to convey that broad focus view. Before I delve in, let me say that I receive nothing from this film. See it one time or ten, it doesn’t put an extra penny in my pocket. Neither Sully nor I had much involvement at all with the filming or editing of the movie. Everything I saw and heard said in the movie actually happened, although events may not have been in the place or time as conveyed in the movie. For instance, the final line in the movie I believe I said on the David Letterman TV Show, not at the hearing. The accident and rescue was fairly accurate. 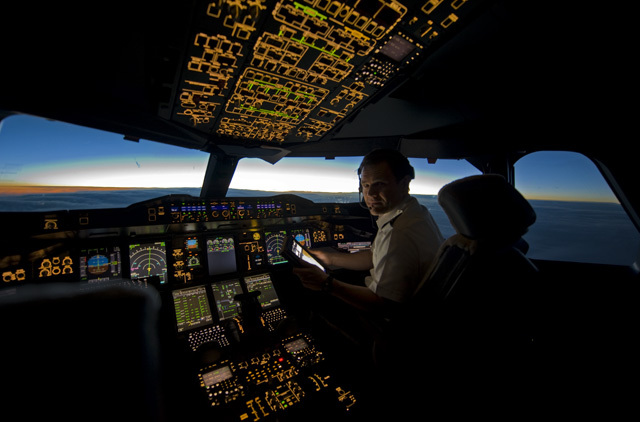 There were certainly small inaccuracies that only an Airbus pilot would know to criticize and the representation of the cockpit scenes was not particularly factual. Reality was far more dramatic than portrayed in the film. In the movie Sully and I had plenty of time to look “concerned” while low volume, almost melodious, emergency warnings were playing soothingly in the background. It felt like we were in an elevator listening to musak. Quadruple the volume of those warnings and alert bells and wipe the concerned looks off our faces and it would have been more accurate. We were busy and didn’t have time to even make eye contact. The cockpit was a very loud and brash place. The other large area of deviation from facts was in the hearing and the demeanor of the NTSB officials. The film took 17 months of investigative work and telescoped it into a few days. There was no live simulator testing played on screens at the hearing, the simulator testing was concluded long before. The main drama point of allowing a reasonable response time to fairly represent our procedures and training was a battle fought in the investigation committee, not at the hearing. The NTSB interviews were not conducted as a crew, they were separate. And, the investigators themselves were respectful in their demeanor throughout the investigation. They were not antagonistic, condescending, or personally insulting. That’s not to say it wasn’t a very stressful experience. My interview lasted for three hours. The NTSB did not allow me legal assistance and I was questioned after not having slept for three days. It was a very confusing time in my own mind. To make you feel that level of stress, the movie portrayed the NTSB as Hollywood villains. They weren’t villains. But, in such an investigation there are powerful forces integral to the investigative process working against you. The investigative committees are populated with engine manufacturers, airframe manufacturers, and airline representatives who would think nothing of casting blame, even unfairly, on the pilots to protect their corporate brand. It wasn’t their representatives that influenced the NTSB to allow 35 seconds to reflect reasonable reaction time, transference of aircraft control, and evaluation of the situation. It was Larry Rooney, our pilot’s association representative on the NTSB Operations/Human Factors committee that did that. Without Larry, the results of the investigation would have been far different for Sully and I and there certainly would have been no movie for you to see. The paragraphs above would be difficult to portray in a film format however. The producers chose to give you that perception by making the NTSB investigators personally antagonistic. Sully successfully petitioned the producers to remove the NTSB cast members actual names from the movie but otherwise was unable to alter their portrayal. This was certainly unfortunate for the NTSB. Inaccuracies aside, I thought the movie did a good job of depicting the incident and a Sully’s-eye view of the many months of investigative purgatory that followed. Just don’t place too much blame on the NTSB itself for the realities of the investigative process. They were doing their jobs, just as we did ours. Thank you for your effort to put all out in front for us. In your reply you do a great service to the honour and respectability of the entire aviation community, modulating and squelching the Hollywood factor to expose the substance of brilliant airmanship. I edited your reply, adding the quotes, one where you wrote, “I was questioned after not having slept for three days”. I think this behaviour is unacceptable for any government authority. Your treatment by the investigators mimics Captain Peter Burkill’s (BA38) treatment described at page 63 in his book “30 Seconds to Impact”, where he was taken away straight after the accident and interviewed for three hours. ATSB officials told me they would never do this. I am writing more about this in the Crisis Management Chapter in my next book. You and Sully are exemplars for professionalism, safety and resilience. I read your review and heard comments from friends who had seen the “Sully” movie and really enjoyed it, so last weekend, I went. I did indeed really enjoy it. It was excellent. It was like we were there with Sully and Jeff in the cockpit, and then later, in the aftermath. As in a previous comment, the only thing that spoilt it for me was the attitude of the NTSB investigators. Were they really like that in real life regarding this incident? I thought that the role of the NTSB was not to accuse but to gather information from all factors (people and evidence) to find out what happened so that it would never happen again, or to help train pilots if it did happen again. Their job is never to accuse, otherwise no one would come forward to help in the case of an accident. (One of my favourite TV shows is Aircrash Investigations!) But their attitude in this movie was terrible! Sully and Jeff were guilty until proven innocent! Incredible! I would love your comment on this – was the NTSB like this to Sully and Jeff in reality? Mandy, I chose the words carefully when describing the NTSB’s behaviour. The NTSB were not as aggressive in real life as depicted in “Sully”, however both Sully and Jeff were challenged to support their actions and protect their reputations. I have been through an investigation so I understand Sully’s and Jeff’s defensiveness, because my interactions with the ATSB were not without consternation. Initially (first four days after QF32) an investigation had not been planned at all. Then information started to appear about what happened. On the fifth day after the incident the ATSB asked to interview just Matt and me. I insisted the ATSB widen their scope to include the other three pilots. The interviews that were initially planned to take 2 hours in total – took two full days. My first interview with the ATSB took four hours. That is a story in itself. I held strong views about investigations and many safety authorities because I had completed an air safety officer’s course in the RAAF and had researched many accident reports during my career. The interview started aggressively as I challenged the makeup and representation of the investigating team. Every reply you give in an investigation interview must be clinically accurate. Your reputation and career is on the line. Your every action is under scrutiny. Everything is recorded in the cold quiet interview room and I was acutely aware that any casual or incorrect statements would be on record forever. It is critical you speak the exact and right word. Sully told the NTSB that he landed, not ditch on the Hudson. This distinction is critical. There is a chasm of differences between a water landing and a ditching. When you dig deep to understand the flight control laws acting during Sully’s approach, you have to dig deeper. There were undocumented and complex protections in place that complicated Sully’s approach. I explained in detail every event in my complex four hour ordeal. I remember telling the investigators many times not to ask negative questions (because they create unresolvable confusion) then to rephrase their questions in the positive form. I remember seeing the investigators slowly sink lower into their chairs as I progressed through the flight from failure, to failure, to failure, to failure … I needed a 20 minute break in the middle of the four hour session. The ATSB investigation into QF32 was the longest (966 days) ever produced, involving many teams of up to 20 investigators. My actions in the aircraft were not random – every single thing Matt and I did was grounded in a lifetime of knowledge, learning and training. My decisions about stopping the pushback, climbing to height, staying airborne rather than landing, thrust, control checks, stopped on the runway or why we didn’t evacuate – these are all things that other pilots would question. Many of these issues were undocumented, yet these are the things that pilots must have pre-considered. What you do, how and why – these are the things that put your career on the line. The ATSB investigators are a close-knit group of passionate and skilled aviators and engineers. The ATSB investigators were always professional, polite and considerate to me. They were all respectable and good guys. I’d hope the NTSB investigators were similar to Sully and Jeff. Nevertheless we sit opposite each other at the investigation table separated by law, justifying our actions that will be judged and critiqued by experts world-wide. I have provided an insight into the environment the Sully and Jeff faced at their NTSB meetings. 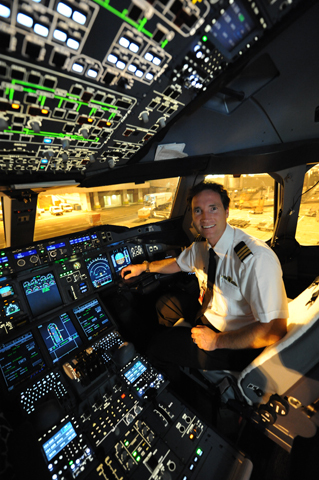 Pilots make decisions that impact their reputations, careers and save lives. Pilots make decisions, mindful they might have to be justified later in a cold quiet court. The “Sully” movie reflected this play. Yes that would have been a very stressful time. As a Airport Fire Officer, after an incident we could have been called in at any time to give an account of our actions. Thankfully during my 38 years, even though I had attended fatal incidents, I was never called. I must admit, when I heard about the incident and that the passengers were kept on board I questioned why so until i read you book then I understood and agreed with the decision. My wife and I have just seen ‘Sully’. Your review of the film is spot on. As octogenarians no longer flying, we were remembering the time our small Cessna struck a flock of galahs on take off. It was no “land on the Hudson experience” of Captain Sully but our memories linger. Who would you like to play you in the film about your life and experiences Richard ? From reading your book I’m sure that your life is worth a film as is Sully’s. I’ll make sure I see “Sully”, and thanks for the review..
Having seen Sully a few weeks ago, I can only say it is probably one of the best aviation documentary dramas ever made. I have always been in awe of what happened that cold January day. However watching this with all the drama of the big screen was something very special. It actually made me somewhat emotional while watching it – Which surprised me at the time. I think it was the realisation that I was watching the best of humanity and leadership triumph over adversity in a real life event. Seeing how well drilled the team was working in unison from Sully and Jeff to the flight attendants and the passengers. Then the rescue workers and ferry crew after the landing. This took me back to what you said in QF32 about the importance of teamwork. I do agree with Frank – the only negative for me, was the portrayal of the NTSB investigators. Although probably the only reason why this was done, was to add an element of extra Hollywood drama. Do you think a similar movie of the QF32 event would be made? Or would you be supportive of this? All the more reason Richard why a feature length movie should be made about QF32. Let it be as technical as the general readership will allow – you will be the best judge of this. 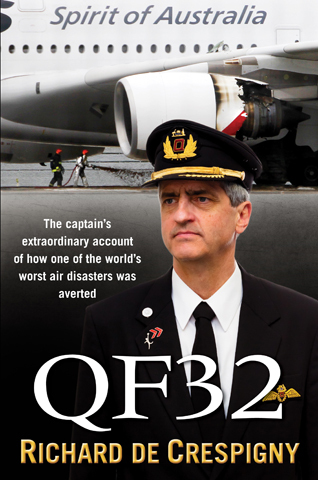 As a retired Australian Aviation Fire Officer with 28 years experience, the QF32 and Hudson miracle were both of great interest to me from the human factors and results perspective. Both events show how dedication and training can infuence the outcome of a major event. From a pilot’s and a fire officer’s perspective the actions taken are based on what is happening at the time, filtered through years of experience and training. One thing I’ll ask though is about Sully’s action of starting up the APU. Why did he do it so early if the emergency instructions had it done much later? Was it to provide electrical power and/or produce some thrust? If it was the later what amount of thrust does the APU produce? Greg I recommend you read Sully’s book. The APU provided electrical power, that in the event of a total engine failure, kept vital electrics PARTICULARLY THE FLIGHT CONTROL COMPUTERS working normally. The FCS in Normal Law have many protections that are missing in Alternate or Direct Law. My guess is the APU might produce 100 pounds of thrust, irrelevant in the circumstances. I agree with all you’ve written here, but wish to comment on an aspect of the film that you didn’t address. For me, the only negative in “Sully” – the film – was the portrayal of the NTSB investigators. The attitudes that the film-makers chose to depict (presumably for the sake of dramatic conflict) constituted a cheap shot taken at a dedicated, highly professional group. It really spoiled the experience of the film for me. Whenever the subject of this film comes up, I take pains to say that I know NTSB folks, and none of them are at all like that. Thanks a million Richard for keeping us aware of the life in the sky. Brilliant Richard – many thanks. Thank you for your review Richard. I must admit when I was watching the movie, I often saw glimpses of you in my mind. Sullenberger and yourself share a number of the same exceptional qualities, which is part of the reason you are both amazing at what you do. Indeed, the news of an “A380 near crash” or an “A320 water landing” don’t do justice to the human machine and interface that prepared and lived the event before, during, and indeed much after. An aeroplane can be powered down, a human can not, the barrage of sensory overload is designed to trigger responses from the crew at a critical time, but their effect on the crew can have not-yet-properly charted results. The resilience of Sully and Skiles, as well as yourself and your crew, was truly shown in the days and months after the event, and once again you all came through with flying colours. Here is hoping more is understood and researched on how to properly support the crews who go through these kind of life changing events. It is my pleasure to write a review of a Success story. “Sully” is loaded with nuggets of the wisdom of experience that we can use to fortify our resilience and help us become the best we can be. There is a chapter on PTS in my next book, out in Late 2017. I can’t wait to see the film but always had it in the back of my head that the “Hollywood Effect” would lend too much drama. That is until I talked to several of my friends within my flying circle who have already seen the film. Apart from a few issues, apparently the film is very well made. I cannot begin to imagine what it took for these two magnificent aviators to make split second decisions in the right sequence within a span of just a few minutes and get a 100% successful result. And to think that my issues were just so minuscule compared to what Sully and Jeff (his co pilot) faced just boggles my mind. True legends … both of you. That is how it is Richard – a great story that we should remember with a happy ending. I’m yet to see “Sully”. I don’t normally read “reviews” before seeing them, however I expected your comments would provide a unique perspective – and I was right. I’m quite sure I’ll enjoy it more now that I appreciate the understated circumstances during the crucial scenes and try to imagine how much more chaotic it would’ve been in real life!